Mirage Hardwood Floors are made right here in Canada, at the Boa Franc flooring factory in Quebec! 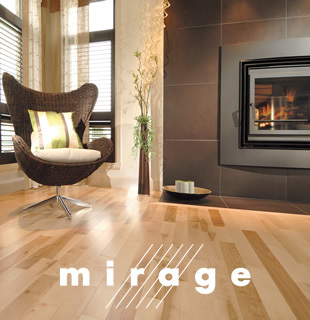 As the industry leader in hardwood manufacturing and finishing technology, Mirage Hardwood Floors are used nearly exclusively in high end properties in West Vancouver, Whistler, Vancouver, Richmond, and White Rock! Engineered hardwood is best suited for glue down applications, especially over radiant heat systems! 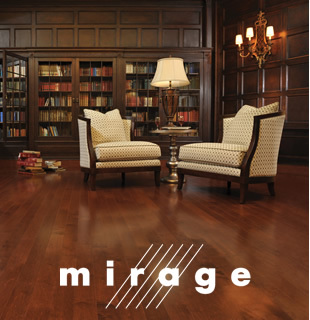 Mirage Hardwood Nanolinx finish has tested 5 times more resistant to wear and tear than competing finishes! The Nanolinx finish is flexible and has the ability to bend with the wood at the nano level. Even if you dent the floor by accident, the finish is flexible enough to prevent cracking. Using a special formula, the Nanolinx finish is transparent, making the Mirage Hardwood Flooring products so clear that you can see the natural beauty of the wood! 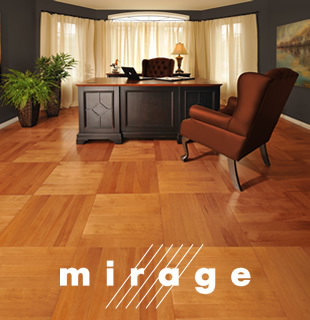 Every Mirage Hardwood Floor product has UV protector that slows and reduces the sun shading effect that causes wood to darken and yellow over time.